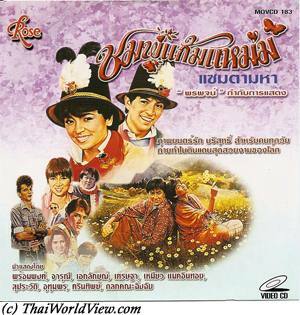 Ai kaew Ai thong is a romantic comedy featuring Jarunee and Toon. Kaew and Thong are released from prison. Thong is 70 years old and has nowhere to go so Kaew invites him to stay together. His mother chases Kaew away as he sold old artifacts from the family home (แม่ด่า). They need to find ways to make a living such as waiters in a Chinese restaurant. They are finally expelled as food is spilled on customers. They find a new job in a house as gardeners. Maem is the house owner's beautiful daughter. The Chinese restaurant owners have a son Jun who is slightly retarted (ปัญญาอ่อน). They wish their son to marry Maem as her parents own land. So they need to teach him how to seduce a woman. It failed miserably as he falls from balcony into the pond. Kaew dives to help him and gets higher credit from Maem. Kaew and Thong simulate being prince and servant in front of other domestic helpers in order to enhance their status in the house towards Maem. Maem is a strong young lady (คนสวยปากร้าย). Kaew lies to Maem regarding a fake golden necklace in order to get a kiss. Jun parents hire a lady (Wiyada Umarin, veteran actress, often playing such role) to teach Jun how to perform husband duties on bed. As the golden necklace becomes dark after one day, their stratagem fails. Maem condemns them to dig a big hole. While digging, they find an old Chinese sword (ดาบ). The father sends Maem, Kaew and Thong to Hong Kong to sell it. As they cannot sell it, they have to find odd jobs to pay for food and accommodation. Maem is driving a rickshaw. In 1980 rickshaw usage in Hong Kong was already low. Thong is driving a kaido boat. Kaew is doing the tour guide on Cheng Chau island. They are waiting for the father to send tickets back home but the father is very avaricious and expect them to buy the tickets from the spade sale. Feelings start between Maem and Kaew. A ruffian Khun Seu (นักเลง) loves a singer (นักร้อง) and chases after her. Maem is involved as rickshaw driver and helps the singer to flee. To escape from Seu, the singer pays for their tickets back to Thailand. Jun cannot marry Maem anymore as he caught decease from little virtue woman. Knowing that they cannot sell the sword as the Chinese family linkage was broken, the father chases Kaew and Thong from his home causing Maem’s despair as Kaew is a kind man (คนมีเมตตา). They finally find a last descendant in Thailand and gets 20M baht for the sword. Kaew can now ask for Maem's hand but performs a last trick to avaricious father. it is a typical good mood romantic comedy from 1980s decade featuring superstar Jarunee and Toon. In Nan province, animist forest people (คนป่า) are discovered. They are called "Phi Tong Leuang" (ผีตองเหลือง) or Mlabri ethnic group. They do not possess anything and share everything within the group. They are exploited by Bangkokian people to cut trees in forest. They stop to cut trees because deities (ผีฟ้า) are angry. A professor sends a group of students including a young lady called Doktawan to study and to catch a "Phi Tong Leuang" in the forest. In Ta Wa Dung village, people from Chinese origins are living. They are far from civilization and are friend of the Mlabri ethnic group. Cheng is a young man living in Ta Wa Dung village. The students mistakes Cheng as a Mlabri ethnic group member and catches him. Cheng is same as French Asterix and his magic potion. Cheng gets high strength when getting exposed to sun. As he wishes to visit Bangkok, he lets himself captured. There, he is exposed like an animal in a cage. Doktawan educates him to modern world (radio, music, dance). A romance happens between Cheng and Doktawan. The illegal logging company sends ruffians to get rid of Cheng so he has to flee. Police catches him and sends him to hospital for crazy people as he is walking half naked. Meanwhile Cheng's parents are worried and decide to go to Bangkok to search for him. They arrive in Bangkok with elephants and horses to look for him! Finally Cheng is reunited with his family but it is discovered that he is not a Mlabri so he needs to help Doktawan to find real Mlabri ethnic group members. Meanwhile the illegal logging company wants to kill all Mlabri people to be able to exploit the forest. Gun fight happens in famous Earth Pillars site at Sao Din. Police arrives on time to rescue the students and Mlabri. 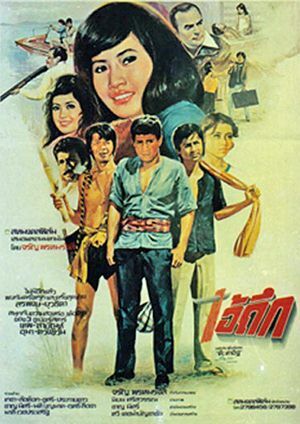 This is a typical Thai comedy from the 1980s decade with a "katoey" (กะเทย) in the funny and silly role, gags from "Raiders of the Lost Ark" and "The Gods Must Be Crazy" (1981). There is very bad taste as the illegal logging company ruffians often carry a nazi flag to emphasize their badness. In 2009 the operator of a waxworks museum in Pattaya has been forced to cover up a giant billboard of Adolf Hitler giving a Nazi salute after complaints. This movie includes first introduction of hidden advertisement with beer brand name promotion. An important thing in everyday life is to have fun (สนุก - "SANUK"). Thai people love to have fun together. "SANUK" can represent many things : eat together, to be with friends and chat, to go out with friends. For Thai people "SANUK" happens with several persons. Of course Thai comedy are very popular. 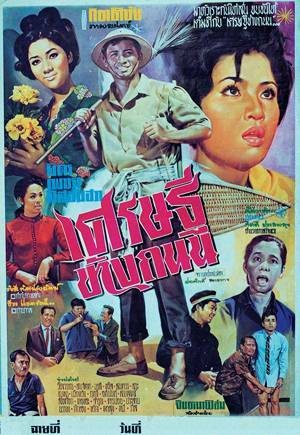 Some comedy Thai movies (หนังตลก) are based on romantic stories. Four young women want to become policemen. They face harsh selection inside the police school. One of them is coming from a wealthy family but still wants to be a policeman same as her father. The trainer is aware of this and is helping them though gags during the selection and their first assignments. A business man is looking for a secretary. He finally finds one, who is going to upset his life! A Thai thief is accomplishing spectacular robberies with his associate. One day, he is caught by a policewoman. In order to avoid being jailed, he has to help her to get a precious diamond back. A mother is separated from her Thai husband and move to Austria with her daughter. During her childhood, the daughter has also a half-Thai friend. When growing up, the daughter wants to know her Thai father and decide with her best friend to gather the money to buy the air ticket to Thailand. They try different opportunities (play Molam, simulate red cross helpers, get money from wish fountains). In a remote village two young people love each other. As the man has a nice voice, he decides to go to Bangkok to become a singer. Having some financial problems, her fiancee also has to go to Bangkok to work. She fails to find him and is rescued by two nice guys after being attacked by a taxi driver. After many funny confusions, her fiance is marrying another woman and she is marrying her rescuer. Two friends are unfortunately making funny mistakes by trying to seduce two young ladies. During Chinese New Year, while trying to earn money in order to repair their mistakes, one of the young lady discovers that she is the Mr Liu's daughter. As Mr Liu is very rich, will it change their frienship and love? Three jobless men after a few failed tests finally find a job in a detective agency. They have to look for the daughter of a rich man. This lady left home following misunderstanding with her step-mother. This latter doesn't help the apprentice detectives as her daughter then become the only heir. A young man opens a strange bottle containing a woman genius. This woman genius loves the young man but the young man wants the genius help to win the heart of another Thai lady. Some Comedy Thai movies (หนังตลก) deal about arrangement made between parents and the young man, who must follow the custom. Not so long ago, wedding were arranged by parents. Now as children often leave the house to find a job in big cities, the young boys and girls prefer to choose their mate. A young feminine seller is in love with a Thai Boxer but her family doesn't want her to marry him. So her family tries to present other bachelors to her. The Thai Boxer becomes famous and is contacted to cheat a boxing match. As he refused, he is seriously injured by the mafia. Will their love story become a reality?. Coming from a wealthy family and fed up by his mother still looking for a mate for him, a young man decides to flee his parents' home. He is living with an uncle on a boat on the Chayo Praya and is selling goods. During his adventure, he meets a rich young woman whom father is alcoholic, a young woman whom father is a local godfather, a young poor woman. Who will he choose? This movie contains many nice "LOOK TOUNG" (ลูกทุ่ง) songs. Following a promise done by his father 20 years ago, Ekarat has to marry Yee hoop, a young lady educated in old style. Ekala's mother doesn't want his son to marry a bumpy country side girl. Yee Hoop's parents leave her in Ekarat's parents home so she can get used to urban life. She gets introduced to the family. Only Ekarat's younger brother, who is a katoey, is supporting her to learn things about modern life. She does many hilarious mistakes. Is she really a bumpy girl or is she simulating? Ekarat is first puzzled then seduced by Yee Hoop. Finally following his mother disapproval, he marries her in country side. When Yee Hoop goes back to Ekarat's mother home, she is subject to bad tricks, bad jokes from the mother relatives. One girl who always wanted to marry Ekarat for his money, even engages a hitman to get rid of Yee Hoop. Everything is finally settled but Yee Hoop flees to England believing that Ekarat is involved. She arrives at the time of Lady Di wedding with Prince Charles. Real images of the wedding are used. Finally Ekarat and Yee Hop get reunified. A second opus was done 12 years later and a Thai TV serie based on the movie was shot in 2004. Ramon is a young lady. She is an English teacher in a HiSo family living in a palatial house. The family includes crazy domestics, a stammering son called Johnnie incapable to study hard during private English lesson, a lazy daughter called Maew, a mother (คุณหญิง) playing in illegal casino (บ่อน). Bow, young man, is fianced with Maew. The HiSo family wears exuberant clothes and has a high pitch tone when speaking. They all have funny long Thai names. The grandfather is sick but still has enough strength to hide four bunnies in his room. Ramon, the leading actress (นางเอก), is a poor lady bothered by the various jealous ladies. Johnnie's brother Phet, wearing a beautiful immaculate white suit, comes back from foreign countries. Maew and her mother (นางอิจฉา) dislike Ramon. Bow, despite being Maew's fiance, has high interest into Ramon. He offers her flowers and gifts causing Maew's ire. Bow asks Chet to act as an intermediate (พ่อซื้อ) to seduce Ramon. The HiSo family needs to think about Phet's wedding. During a family trip to Hua Hin, the mother and Maew use ruffians (ตัวกง) to injure Ramon but to no avail. The family has a declining jewelry business. Ramon makes new designs and Phet wishes to operate new business changes. Mysteriously Ramon's successful designs are stolen. During typical TV series, surprising announcements always happen on the last episode. So during the official collection launch, it is discovered that Ramon is a undercover policewoman. The family lawyer is dishonest and has stolen the jewelry designs. A wedding between Ramon and Chet can happily take place. This movie needs to be seen tongue in cheek as it is a satire of Thai TV serie / soap opera called locally 'Lakorn' (ละคร). It includes the leading actress (นางเอก), who is always a kind and nice person. She never kisses her boyfriend neither held his hand. The bad girl (นางอิจฉา) tries everything to be the main actor's girlfriend and always tries to get rid off the leading actress. She is often a stereotypical character who does not hesitate to do bad things to the leading actress. The leading actor is called พระเอก. A group of funny comedians (ตัวตลก) supports the leading actor. The funny comedians are represented here as 'katoei' (กะเทย - man dressed like a woman), who always has a silly but funny role to play. 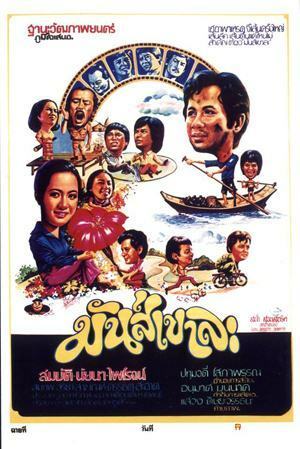 The movie is based on famous Thai TV series such as 'Baan Sai thong' (บ้านทรายทอง). It includes sickly sentimental music (รักเธอหมดใจ). 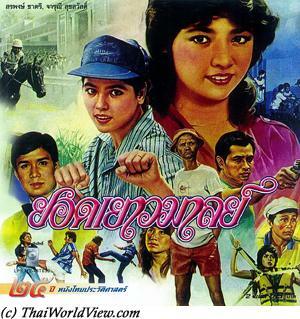 Some Comedy Thai movies (หนังตลก) are based on gay characters. Gays usually play as supporting characters to the heroes and heroines as assistants and also a comic relief. 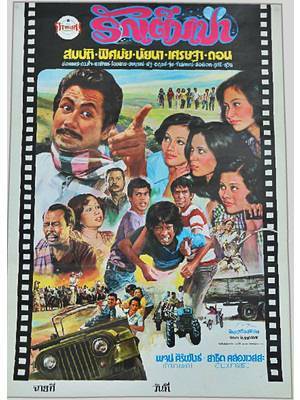 Starting in 1997, the "New Wave" of Thai Cinema brought back into highlight a genre that already had been present in 1980's Thai cinema, i.e. gay movies. The huge commercial success of "Iron Ladies" triggered a whole series of gay-related movies with diverse story lines. Instead of depicting everyday gay life and promoting political rights, many are operating within the sphere of the family. Whereas in the past, funny gays characters dominated the scene, now gender normative homosexuals are becoming increasingly visible on screen. It is based on a true story. In 1996 several friends living in Lampang decided to make a volley-ball team. All of them were gay ("KATOEI" - กะเทย). They were not allowed to play in other teams so they decided to make their own team. They win the national championship. This film shows them to the public in another way and also does a good job for their wider acceptance in Thai society. 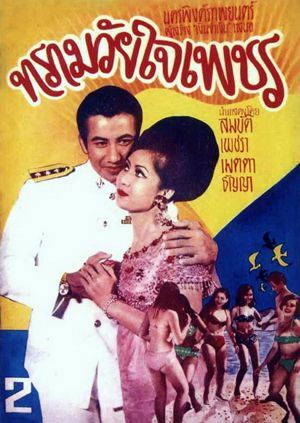 This movie has also been registered as National Heritage per the 2016 list released by the Thai Film Archive. Some members have quit the Iron ladies team. One of the member even joined a competitor team called the "tip-top". Some Iron ladies members decide to reunify the whole team in order to confront the "tip-top" team. It is the opportunity to remember how the Iron ladies team was created and the problems they faced due to their gay status. It is also based on "KATOEI". Several gay friends decided to participate to a cheerleader contest. They were not allowed to play in other teams so they decided to make their own team and win the national championship. 4 travesties in desperate need of money decide to rob a bank in order to achieve their dream. Unfortunately the bank they started to rob is also the target of professional robbers. Who will get the money? Pee Toom Tim is a gay ghost comedy taking place during football World cup qualifications. Rak is a successful football goalkeeper and is part of Thailand national team. During a match, he is injured on the head and dies. A spirit (วิญญาณ), called Ming, enters the dead body. The big issue is that Ming is gay so Rak's character changes from a macho to a gay style. Ming has to deal with Rada, Rak's girlfriend. Rak's goalkeeper duty is important as Thailand national football team has the opportunity to qualify for the first time for World cup. His teammates believe Rak is crazy as he is talking alone but in fact talking in fact with Yama (พระยม), the hell god. Ming has to perform a few missions (qualify the football team for world cup, declare his love to Rada, help for the acceptance of a gay member in a family - เป็นกะเทยแต่เป็นคนดี - and in Thai society as a whole, help a young Thai man to achieve his dreams to be a dancer instead of being a policeman as requested by his father, organize a wedding between a cheerleader and a footballer and so on...). As usual, there are a few bad cliches about gay characters working in bars or gay shows. One of the coach promises to drug the national team as he has debts with the mafia. As he knows that Rak is possessed by a spirit, the coach is seeking help from a master (อาจารย์) in order to fight Ming (ผีนรก / ผีตูด). Ming prevents this to happe and the national team is qualified. Finally Rak spirit is allowed to come back in his own body. The movie was shot in 2002 but only released in 2009 as the executive producer worried for Sahamongkol Film International reputation! 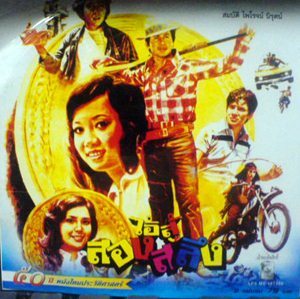 This Thai Comedy movie page 1 contains 44 records.